Over the last period, GP Strategies has been investing heavily in the UK and expanding our team focused on delivering SuccessFactors services. GP Strategies is pleased to welcome the following individuals that will add critical expertise and experience to the team as we continue to increase our capacity to meet demand to deliver world class SuccessFactors services. 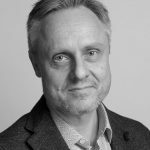 Nick joins us with more than 20 years experience from PWC, PeopleSoft, Softscape/SumTotal, Saba, CipherCloud, Riverbed and most recently as VP Global Services at Bullhorn. Nick has held multiple executive positions within the professional service industry covering both sales and delivery responsibility for global teams. Nick will be leading our commercial expansion in UK and Ireland. Jason joins as an experienced certified Project Manager with 20+ years commercial experience with organisations like ICL Fujitsu, ComputaCenter and RS Components. Jason has managed implementations of SuccessFactors for global organisations and will be helping our enterprise-scale customers in region. Shiv has experience as both SuccessFactors’ administrator and implementation consultant. Shiv is a technical professional certified Employee Central consultant who started his IT career as system analyst. Since 2013 he has solely focused on SuccessFactors’ Employee Central, Time Off, Time Sheet and Position Management. Pratibha has a strong technical background as she has worked with IT development and integration for the past 12 years. Pratibha will focus on SAP HANA Platform and cooperate with our existing integration team that works with HANA, Dell Boomi, SAP HCI and SAP PI. Mike brings a strong blend of functional and technical knowledge of SuccessFactors to team. He has over 20 years HCM experience. Mike is a seasoned consultant with skills built from time with various systems integrators implementing SuccessFactors for a wide range of customers. We are looking forward to working with our new colleagues as we significantly bolster our footprint in the UK.